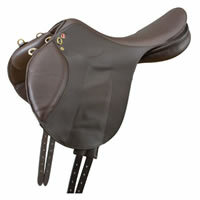 Special Eventing saddles tend to be even futher forward cut than the flatter seated jumping saddle model and some are slighly shorter in the flap. Extra forward cut saddle flaps allow the rider to ride shorter in eventing saddles. This is an excellent feature for cross country as, when you ride shorter you are less likely to be trapped underneath a horse if it falls. By riding shorter you gain more pulling power which is also useful at an eventing competition. The flatter also seat allows the rider to lean right back when landing over steep drops. 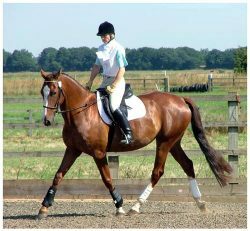 However, specialist eventing saddles can make flatwork and riding with longer stirrups uncomfortable and the eventing saddle tends to cover more of your horses shoulder. Make sure you choose the correct type, size and combination of horse tack for the sort of work you want your horse to do. The entry of calcium buy prednisone now is critical for the conduction of..